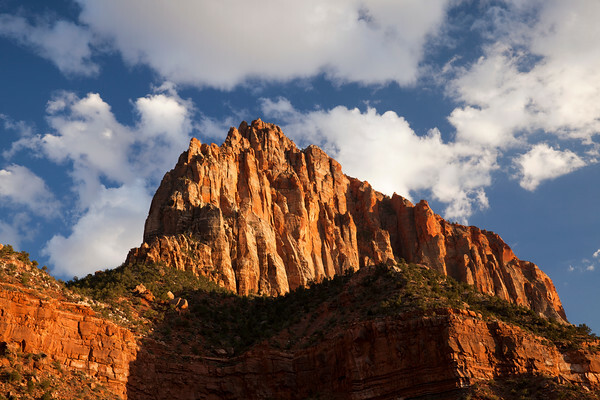 The Watchman is one of Zion National Parks most recognized feature. It sits prominently above the South Entrance Park Headquarters, the Watchman Campground and the town of Springdale, Utah. As part of a jagged ridge line that runs on the East side of the Zion Valley, it guards the southern portion of this ridge. You are looking up at the rock, some of the more recognizable images are taken from a bridge a little further in the park. The stars were amazing on some of the clear nights but I didn't come away with any images?